Adds Scythes, Reaping mechanics, Soul farming System, specialty items and equipment. Harken Scythes: Six Scythes can be Crafted, Enchanted, and allows Reaping of Souls. Soul Farming System: Use the Soul Altar and Soul Crucible to Enhance Items. Livingmetal Forging: Craft many Iron based weapons, armor and tools for special self repairing equipment. Soulweave Tailoring: Craft a new set of armor, providing benefits to Soul Feasting. Teleportation: Harness the power of souls with Amulets to teleport player back to their Resting Place. Resurrect: Allow the fallen to take your place, avoid death with the Talisman. 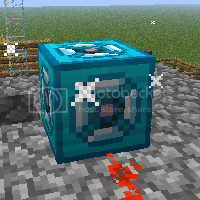 Spectral Phase Generator and Glass: Soulsand blocks and glass crafted from Souls. Augments: Improve your weapons, armor and bows with unique abilities. Spectral Potions: Brew new throw-able potions for combat and personal use. Relics: Equip accessories which add a range of gameplay changing mechanics. Spectral Dye: Dye your leather and Soulweave armor to be invisible when worn. Harvest Moon Event: Let the Culling of the New moon begin! Harken Scythe name is inspired by the Lady Blade, Harken from the Wild Arms Series. She used a deadly scythe which she reaped the guardians power. 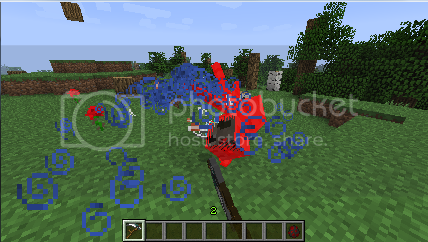 This mod provides not only a new way to kill foes but to harvest their their deaths to create even better/ useful Equipment and Items in Minecraft. Harken Scythes: Six types of scythes can be crafted, enchanted and allows Reaping of souls. While holding down Right-Click with a scythe, Players can charge up a Reap. At full charge, release Right-Click to perform the special attack. 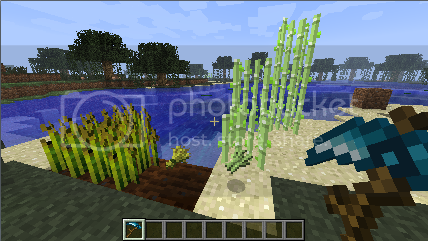 Right Clicking on SugarCane (Reed) or Wheat (Crops) with a Scythe allows bonus to harvesting. Reeds yields + 1 harvested based on Height. 1 reed block = +0 Bonus Harvest. 2 reed blocks = +1 Bonus Harvest. 3 reed blocks = +2 Bonus Harvest. Wheat yields x 2 harvested on full grown plants. Scythes take 2 durability damage * adjusted durability damage based on Bonus Harvest. Harvesting a full grown Reed (3 blocks), would cause 6 durability damage to the Scythe. Harvesting a full grown Wheat (1 block). would cause 2 durability damage to the Scythe. Durability: Same as Wooded Sword. Durability: Same as Stone Sword. 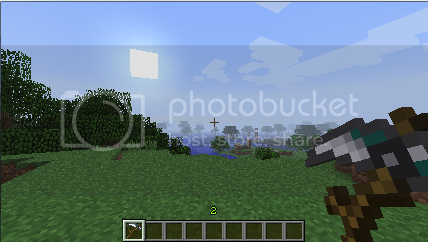 Durability: Same as Iron Sword. Durability: Same as Golden Sword. 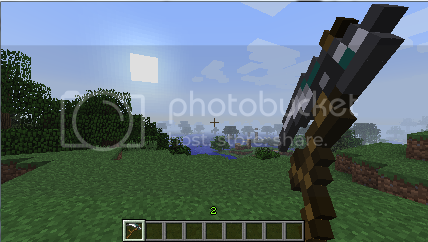 Durability: Same as Diamond Sword. Soul Farming System is the process of using two special types of Blocks and the raw souls from Reaped Enemies. [Souls] Besides the Scythe, the soul is the the most important item used as a power source and creation. [Soul Types] The quality of the soul is based from where the soul was Reaped. Common soul reaped from Normal Monsters. Soul Worth: 1 captured soul to Soul Altar. Soul Crucible Fill Rate: 5 at a time. Soul Feasting: Provides Rank 0 potion effects for 30secs. Hungering Effect: Effects Player with Hunger rank 1 for 15secs. Rare soul reaped from Players during PvP. Soul Worth: 1 captured souls to Soul Altar. Soul Feasting: Provides Rank 2 potion effects for 1min 30secs. Rare soul reaped from Normal Monsters during Harvest Moon Event. Soul Worth: 5 captured souls to Soul Altar. Soul Crucible Fill Rate: 1 at a time. Soul Feasting: Provides Rank 1 potion effects for 1min. Epic soul reaped from Bosses. Soul Worth: 50 captured souls to Soul Altar. Feasting: Provides Rank 3 potion effects for 2mins. [Book of Shadows] The core item required to craft a Soul Altar. [Soul Crucible] Allows souls to be stored, tempered, and supply Soul Altars with power. Destroying the Soul Crucible, drops all souls being held to the ground. [Soul Altar] Allow the creation of new Items, powered by nearby Soul Crucibles. Livingmetal Forging, Craft many Iron based weapons, armor and tools for special self repairing equipment. 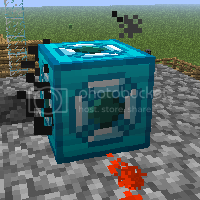 Livingmetal Block: Slowly heals players that stand on this block with its passive repairing abilities. Can be reduced back to Livingmetal Ingots. Soulweave Tailoring, Craft many Iron based weapons, armor and tools for special self repairing equipment. Soulweave Cloth Block: Highly flammable block of cloth with large blaze fanning, great for burning events. Soulweave Cloth is used to create Soul entwined armor which grants the player perks while wearing. -Soul Feasting no longer has a chance of negative potion effects. Soulweave Armor is Dyeable (Limited 15 basic colors). Teleport back to your resting place by harnessing the power souls with your amulet. [Amulets] Allow players to teleport back to their bed when used, however they require a filled Soulkeeper and each amulet has its dimension limit (no Ender Travel). 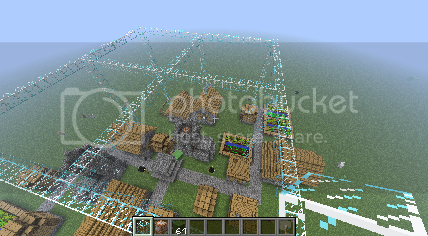 Dimension Limit: Allows travel for any Dimension besides Ender. Directly teleports player back to bed, not to portals. [Talisman] A special ward against Death itself. Requires a completely full Soulkeeper(20 souls). If a player will die from the next damaging attack, the Talisman will drain a soulkeeper and damage itself. [Ethereal Talisman] An upgrade version of the Talisman, able to restore 5 resurrections. Upon Resurrection: Players health will be fully restored to max, hunger to max and complete avoid next damaging attack. [Spectral Glass (Lunar/Solar)] Obscuring glass smelted from Soulsand. Used for Phantom Bridges, dungeon puzzles, barrier protection. Used to power large areas with Spectral Glass and Panes during the Day. Installing a Soulkeeper automatically adjusts how long the generator will run. Soulkeeper Install: Right-Click Spectral Phase Generator with a Filled Soulkeeper in hand. Soulkeeper Uninstall: Right-Click again to retrieve Soulkeeper back from Spectral Phase Generator. Generator longevity: Full Soulkeeper (20 souls) installed allows generator to last about 8 – 10 days. After awhile, based on how full the installed Soulkeeper was, the generator will require a new install. 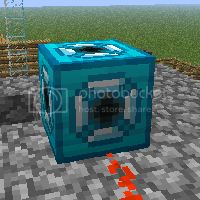 Once all souls are consumed the generator will burn out its core. The total coverage the Spectral Phase Generator is a 30×30 cube. Augments, Improve your weapons, armor and bows with unique abilities. [Augments] Allow players to improve their equipment with helpful abilities based on the type of Item placed in the Soul Altar. Soulsteal: allows souls to be harvested without a Scythe. 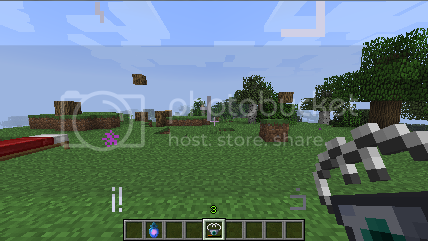 Ranks (3): Applies Wither effect which lasts 5/10/15 seconds on target. Ranks (3): 10/20/30% Chance on successful block while Guarding to gain an extra Vanguard Charge. Bloodletting: causes bleed-able target to bleed when hit. Ranks (3): 5/10/15% Chance on hit to heal wielder 1/2 heart of health. Spectral Potions, Brew new throw-able potions for combat and personal use. -Able to dispel harmful potion effects and used as a weapon to remove helpful effects. 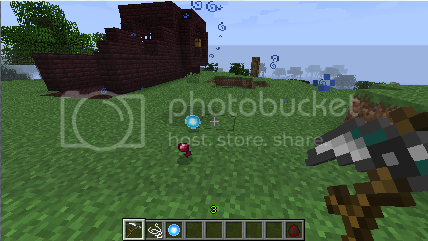 Spectral Potions leave splash residue behind after being thrown, the amount depends on the rank of the potion. Each residue has a unique effect while Entity stands in it and dries up over time. Splash residue crafted directly from a Spectral Potion does not dry out, which is great to use for Combat zones, mob traps, and decoration. Relics, Equip accessories which add a range of gameplay changing mechanics. [Fanged Skull Goblet] Crafted from a Bat Skull, allows player to drink blood. Soul Cost: 1 soul every blood splatter absorbed. Heals player 1 heart of health. Spectral Dye, dye your leather and Soulweave armor to be invisible when worn. [Spectral Dye] Obscuring dye able to make armor see through. During the New Moon, players can harvest rare Culled Souls at night. [Lunar Dial] A handy item crafted from Spectral Glass (Lunar) to aid what phase the Moon is in. The Lunar Dial allows players to see the next Moon Phase during the day ahead of time before night fall. 1. 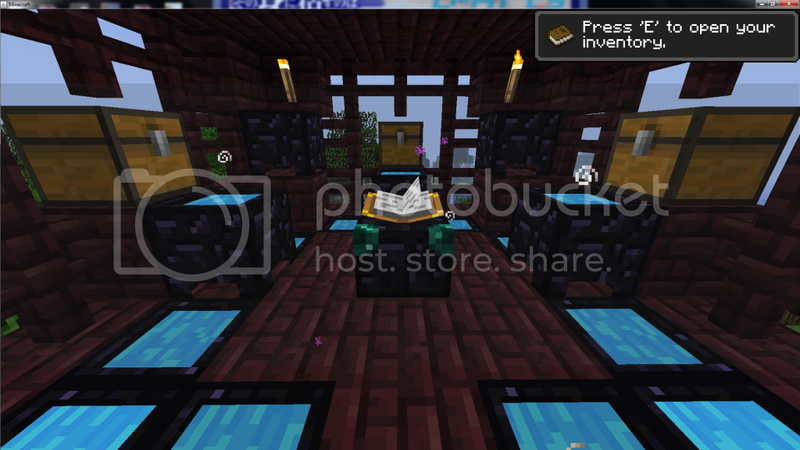 Be sure Minecraft Forge is installed in your Minecraft.jar and Meta folder is deleted.